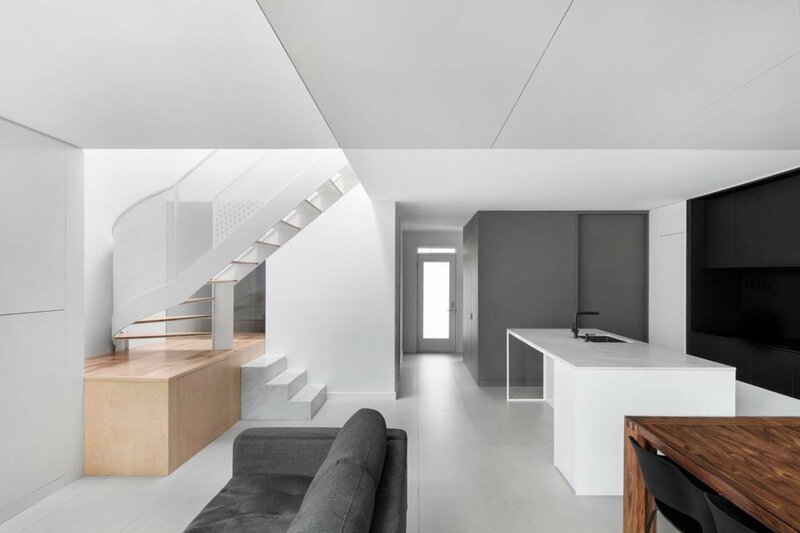 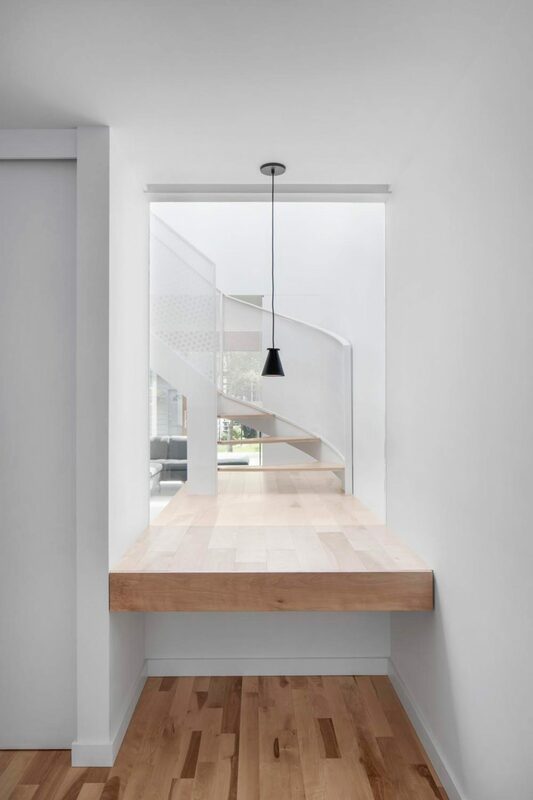 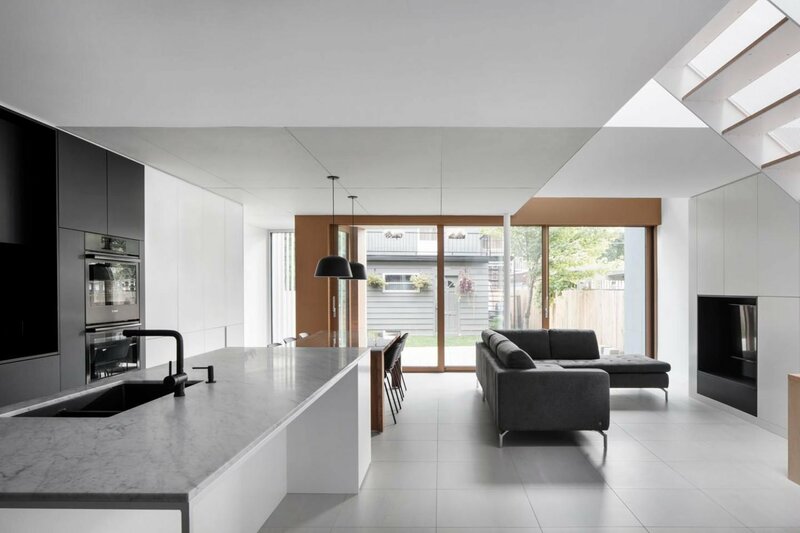 After discovering a duplex in Montreal’s Rosemont-La Petite-Patrie borough, a family with two young children called on the help of local architects NatureHumaine to convert it into their home. 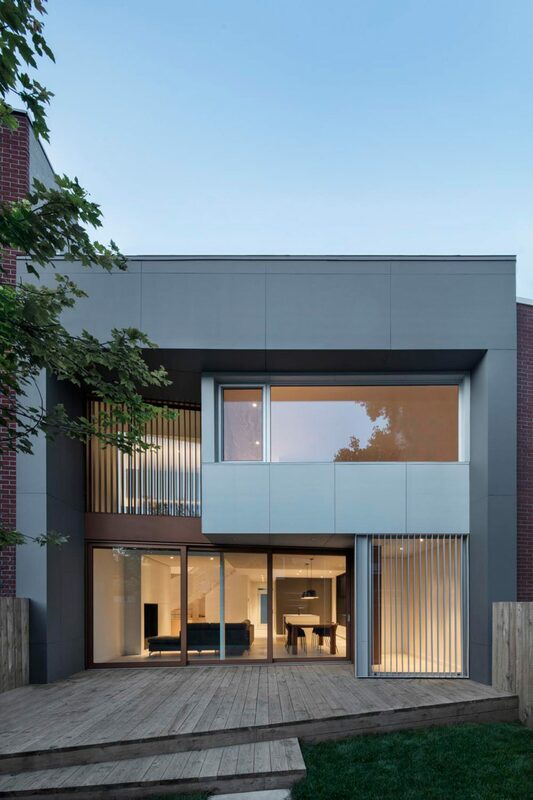 Abiding by the borough’s property development regulations, NatureHumaine were obliged to maintain the appearance of the street-facing facade. 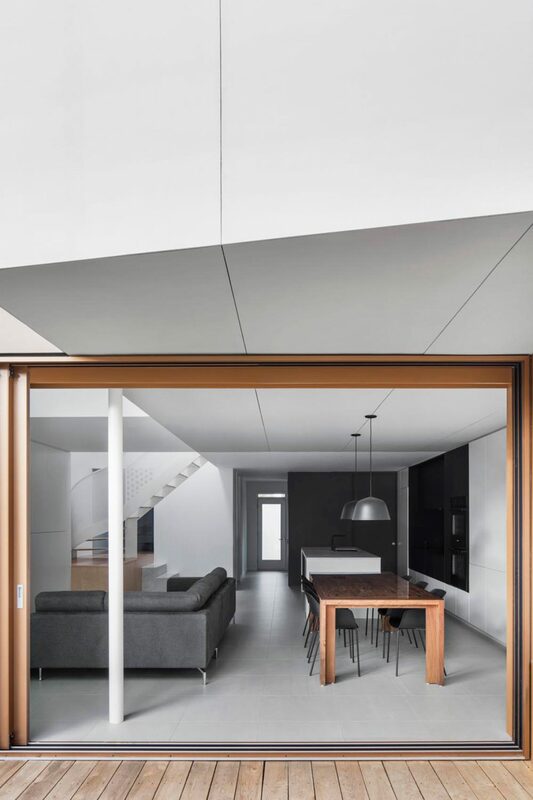 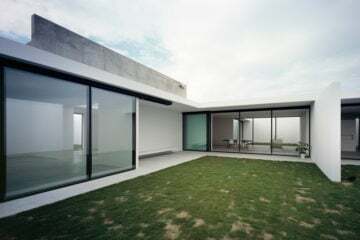 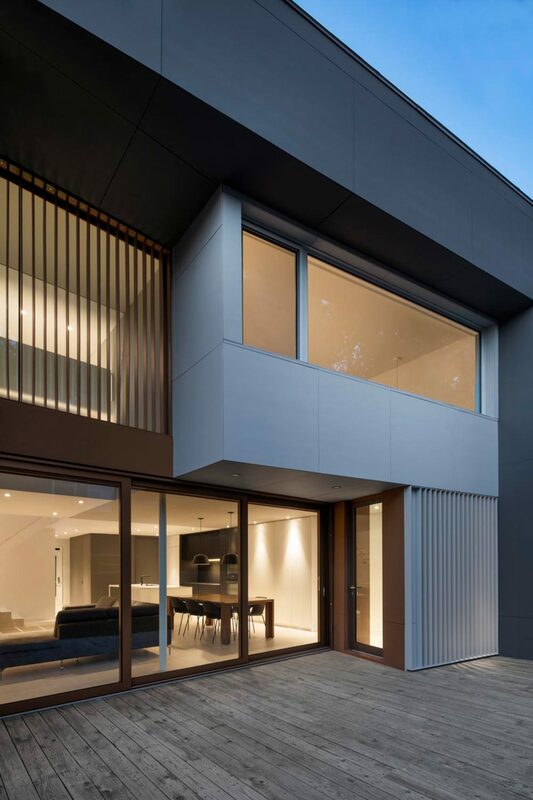 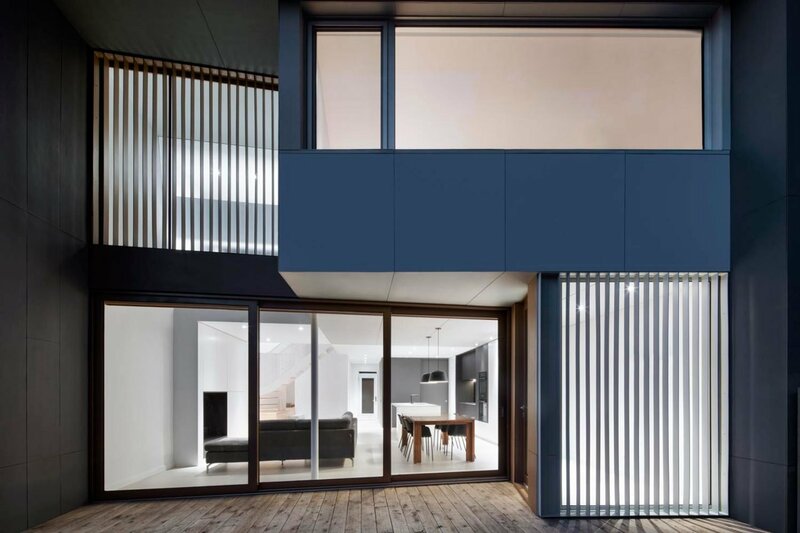 The entirety of their project named the ‘De La Roche Residence’ was therefore centered around an interior renovation, which welcomes a minimal design aesthetic and an open plan layout for a versatile living space. 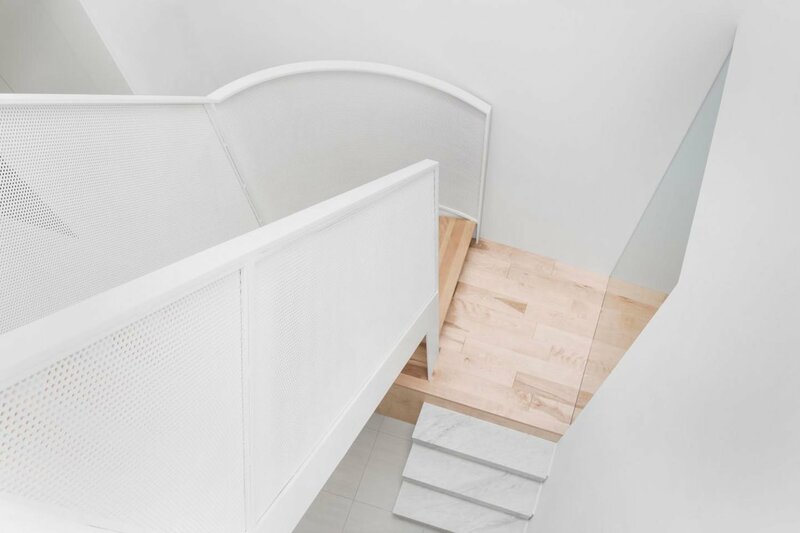 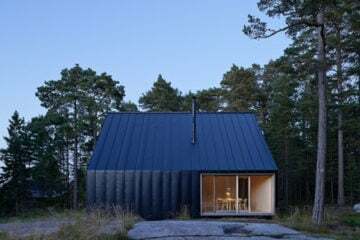 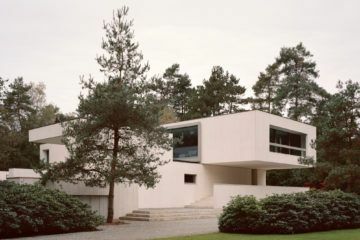 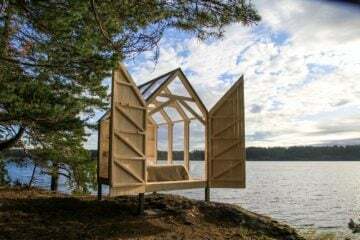 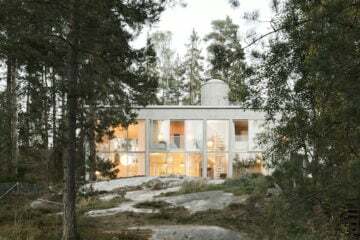 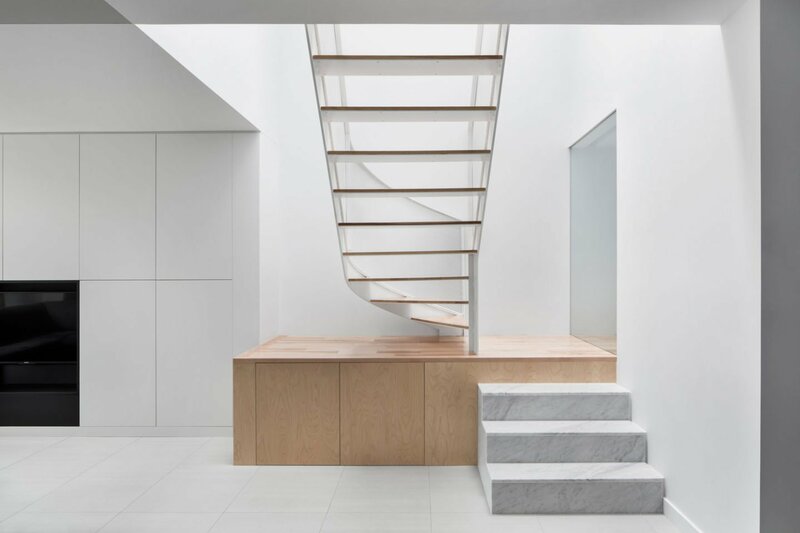 The architects have constructed a staircase unit as a main focal point of the home, created with three separate modules of white marble cladding, Russian plywood and white birch. 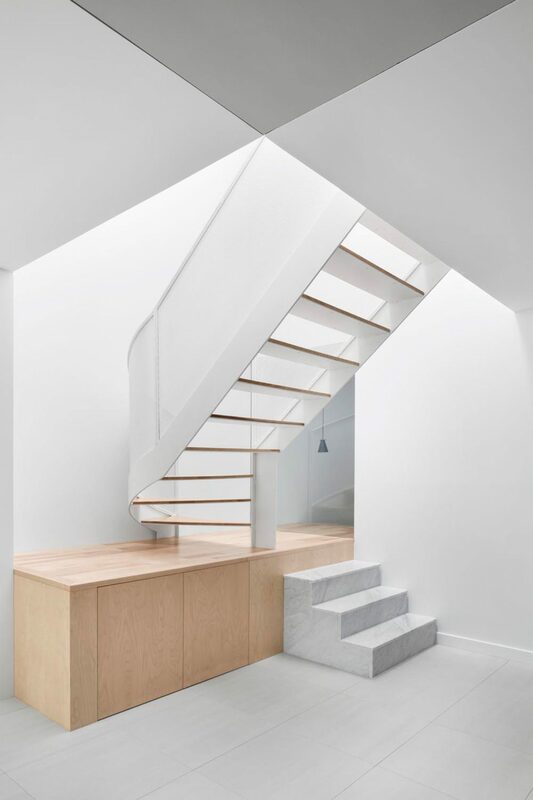 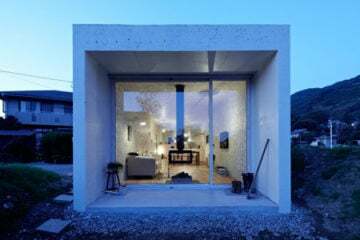 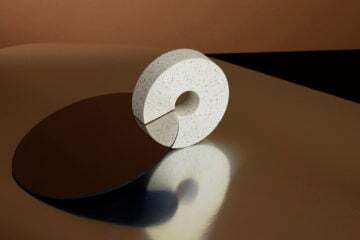 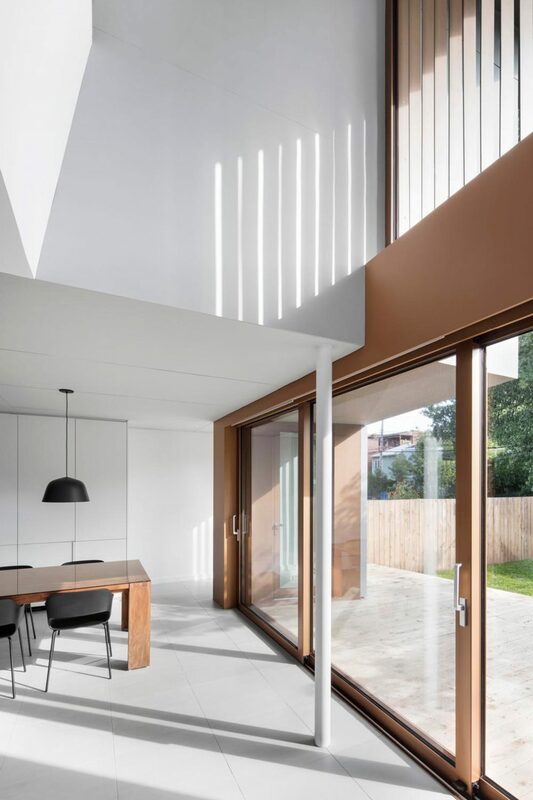 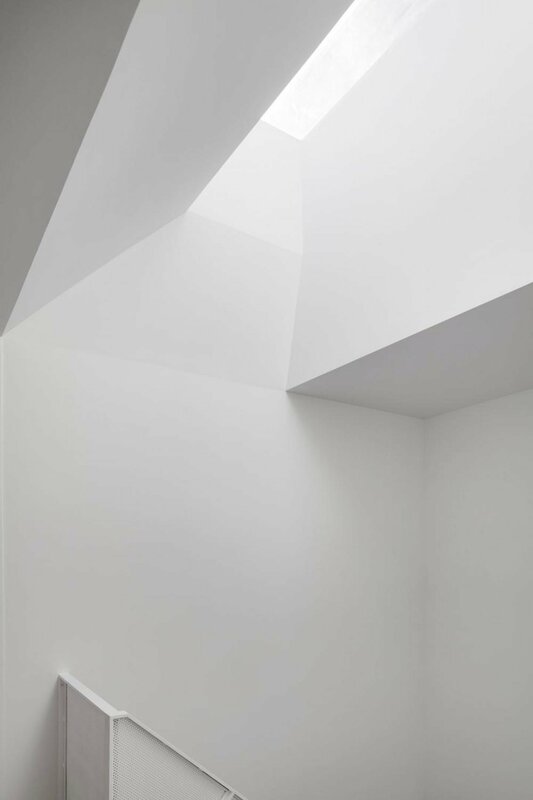 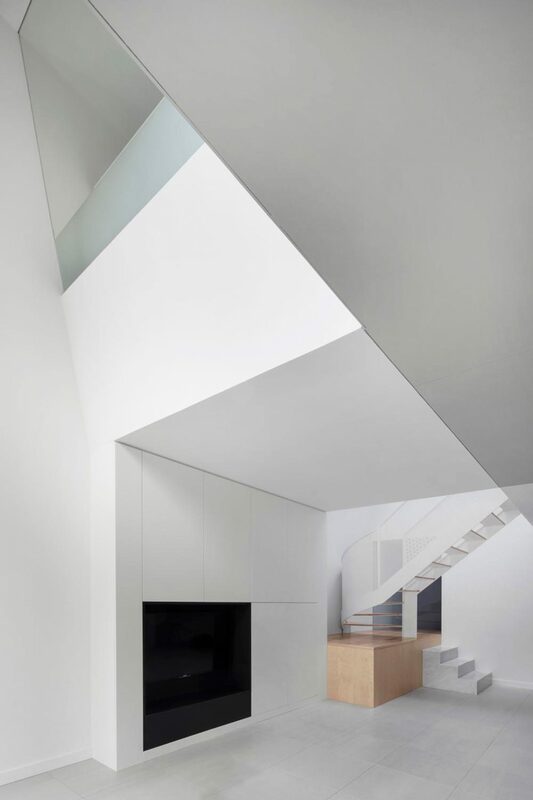 Positioned under one of the houses skylights, the staircase invites a sculptural element into the white-painted home, casting interesting shadows on the walls and floor tiles. 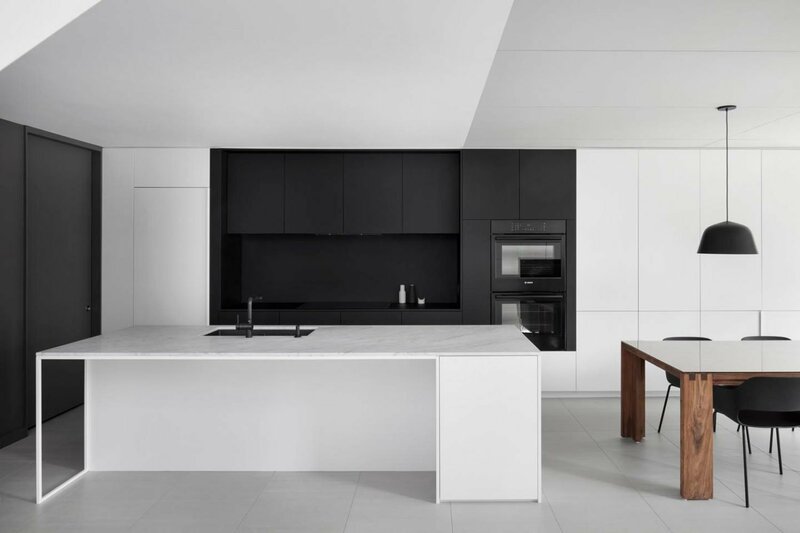 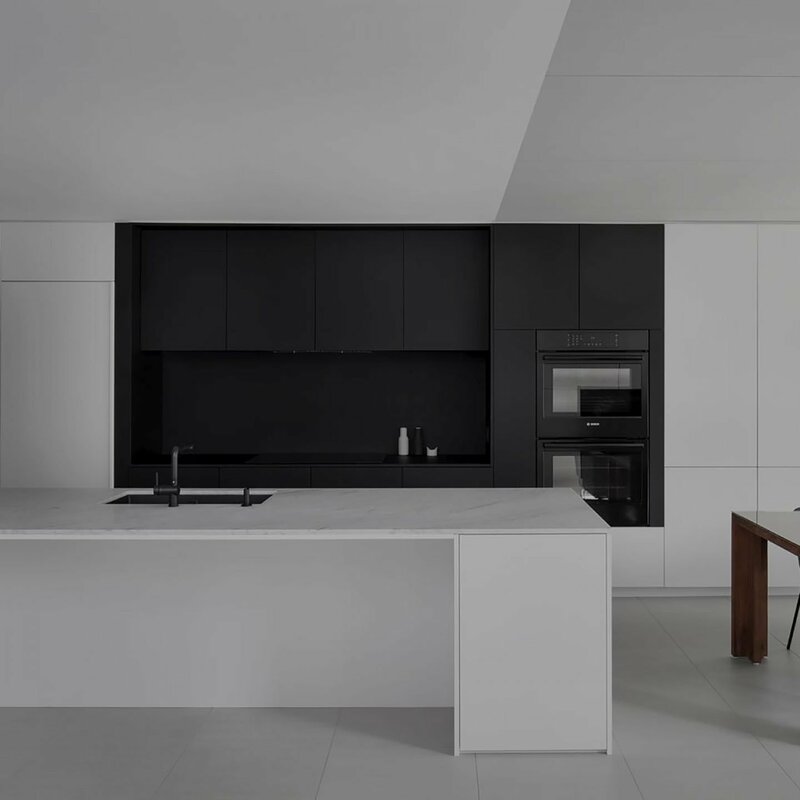 Sparse tones of grey and black both balance and extend the space in the apartment, a feature also used to mark built-in storage units and concealed doors.